Traditionally it was women who were considered to be more aware and more sensitive to the issue of looks and appearance; however, things are starting to balance out in the self-consciousness department with men becoming increasingly more preoccupied with their thinning tops. Male celebrities are more frequently admitting to having undergone hair transplant procedures, and thus ending the stigma attached to it. 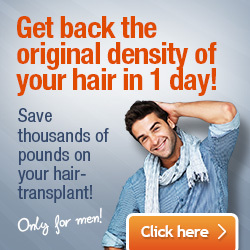 Therefore, for Irish men, getting a hair restoration surgery has fast become the norm. Hair clinics in Ireland are of course happy for the influx of new customers, and await their patients with a wide range of hair loss treatments and hair restoration solutions. Which are the top 5 Irish hair clinics that you should consider if you’re dealing with hair loss issues? Ziering is a private practice that provides non-surgical hair loss treatments and surgical hair restoration techniques for men and women, so you can regain your hair and youthful appearance. Hair surgeons at Ziering are some of the best professionals in their fields, and are just as passionate about solving your hair loss issues as you are. Ziering is a leader in the hair restoration industry employing the latest surgical technologies and techniques, as well as non-surgical treatment possibilities. 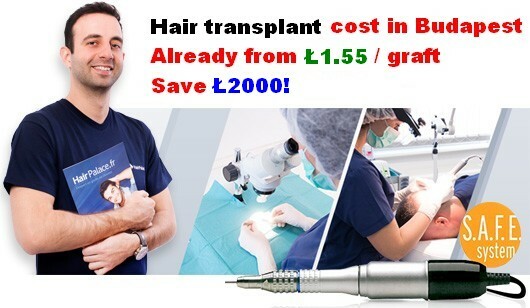 HR Institute is one of the leading hair clinics in Europe, and it specialises in FUE (Follicular Unit Extraction) transplant technique. HR Institute also provides other hair restoration services including Platelet Rich Plasma (PRP), Scalp Micro Pigmentation (SMP), combination therapies, etc. At HR Institute, your needs will be meet by some of the most highly skilled hair restoration professionals in the EU. Therapie Hair Restoration is another outstanding Irish hair clinic that provides excellent surgical and non-surgical hair loss remedies. In terms of surgical hair loss treatment, you can opt for FUE and FUT hair transplant, hairline lowering, beard transplant, eyebrow transplant, etc. Non-surgical options include HairMax Laser Comb, Scalp Therapy, Re-Stim +, Titanium Dermaroller, etc. The world-class hair specialists at Therapie will help you choose the treatment that best suits your needs. Lead by Ireland’s leading hair replacement specialists, Jamie Kidd, JK Hair Replacement is another reliable Irish hair clinic with a range of solutions for hair loss prevention, hair care and hair replacement. To meet the distinct needs of each patient, hair replacement systems are customised and crafted in-house by top hair replacement technicians, thus, leading to the development of innovative and high-end solutions such as JK Folli-Fuse, JK Laser Hair Therapy, JK hair care products, etc. Whichever hair clinic you choose from our list of the top 5 best hair clinics in Ireland, you can rest assured that your hair restoration needs will be met by a team of highly skilled professionals, who are passionate about efficiently solving your hair loss related problems.